We recently concluded work on the L.D. 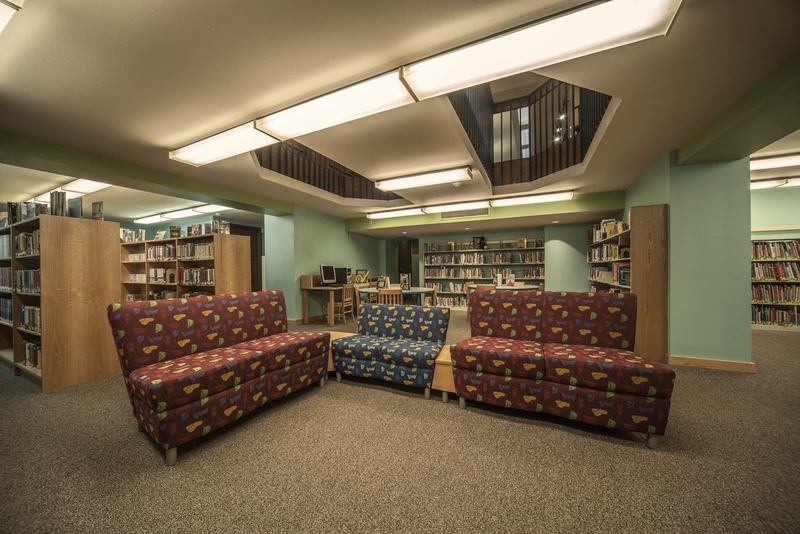 Fargo Public Library interior renovation project in Lake Mills, WI, completing a year-long process of fundraising, planning, and remodeling. 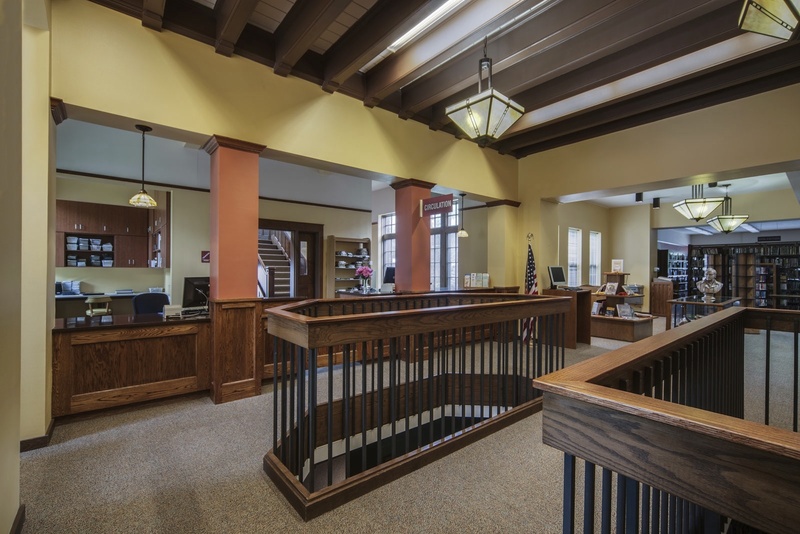 The renovations included a new circulation desk, now located by the front door, new carpet, paint, and updates to the lower level children’s area, including a new restroom, shelving and furniture. 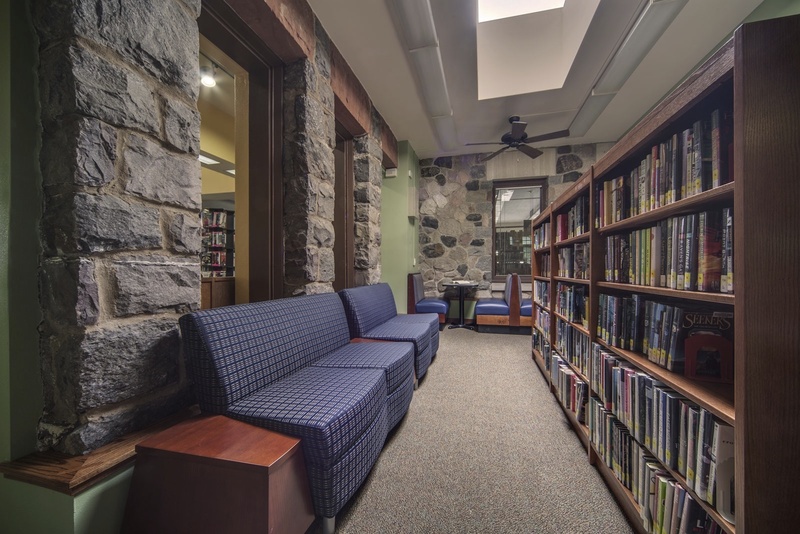 Phase two of the plan included a new young adult area (where the old circulation desk was located), new backdoor vestibule, carpet, and paint. 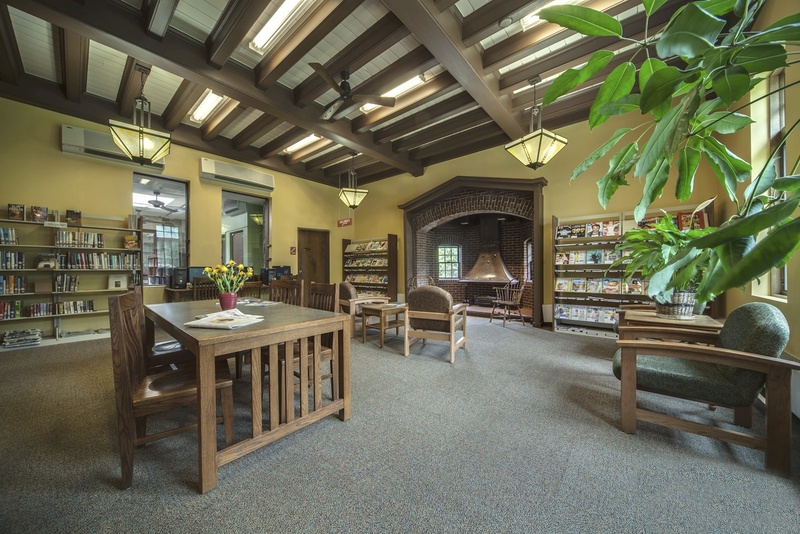 The young adult area now features small booths for studying as well as a new seating area. 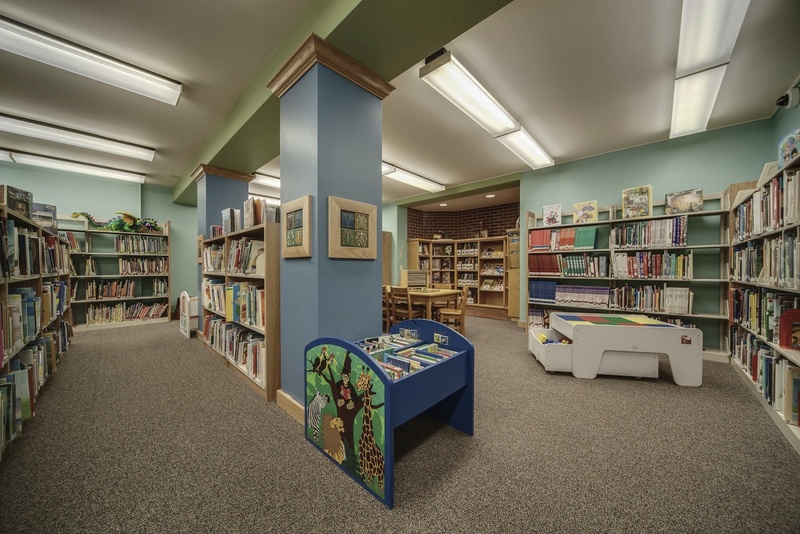 In the lower level children’s room the new paint colors are more vibrant and youthful. 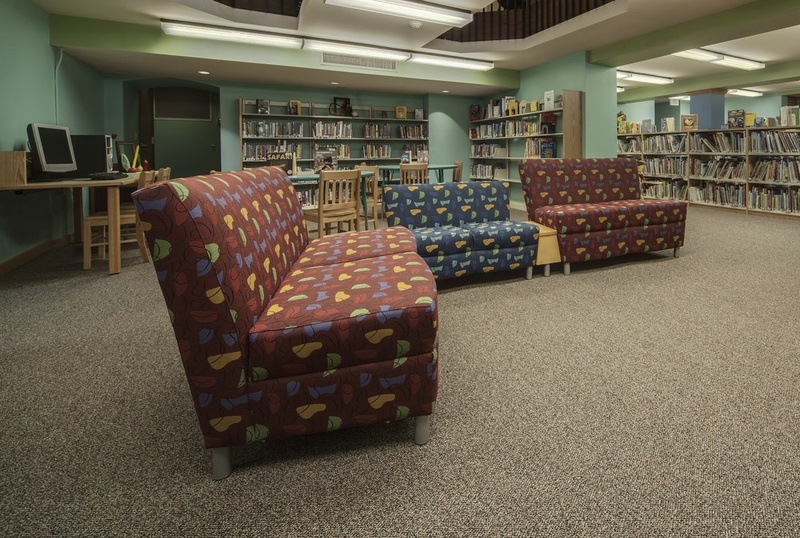 There’s also new furniture in the room including seats that are of different height levels for adults and children. The old wooden study tables and chairs were kept in the adult area, as they were still in good condition. However, new easy chairs were a pleasant addition to the room. The new shelving fixtures have a different layout than before, providing more private work areas. The original woodwork was a combination of yellow pine and oak. We used oak for the new doors and woodwork, in a traditional, medium brown stain color with a hint of red. We also added crown and picture molding in areas that had originally had it. There were no original light fixtures left in the building, so we found reproduction lighting that was appropriate to the gothic revival exterior. These were wrought iron with art-glass in colors that coordinated with the paint colors. The classic exterior of the building remained the same, but will likely be repainted next summer.